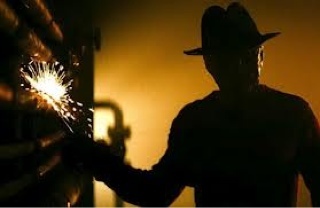 A Nightmare On Elm Street stars Robert Englund and Heather Langenkamp have returned to the iconic movie’s film set almost 30 years after the cult thriller’s release. In Wes Craven’s 1984 classic, Englund stars as terrifying serial killer Freddy Krueger, who stalks and tries to murder Langenkamp’s Nancy Thompson at her home on Elm Street. The lead stars recently returned to the California house where filming took place to celebrate the movie’s longevity, as well as the release of the new DVD box set, and the actor admits he’s been floored by the response from fans nearly three decades later.